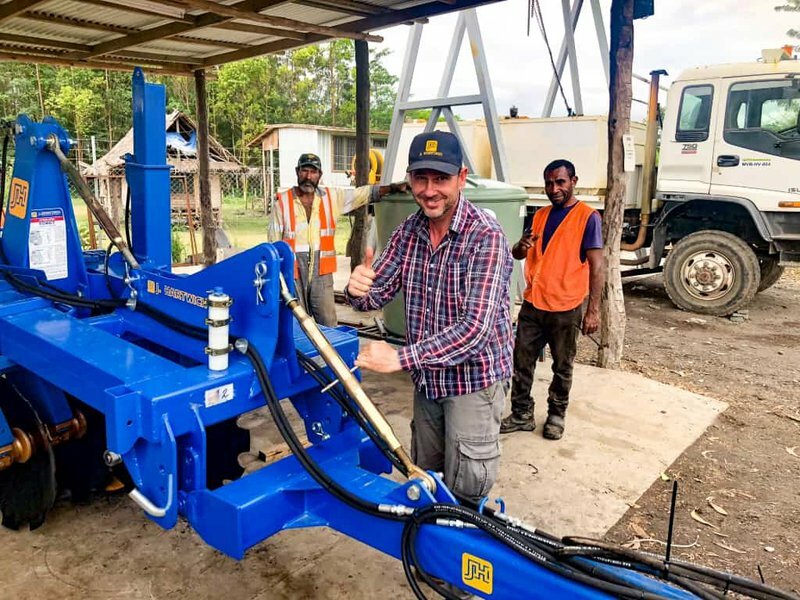 This week PNG Biomass took delivery of a 40 foot container filled to the brim with purpose-built forestry equipment for site preparation and tree planting machines – all the way from Uruguay, South America. 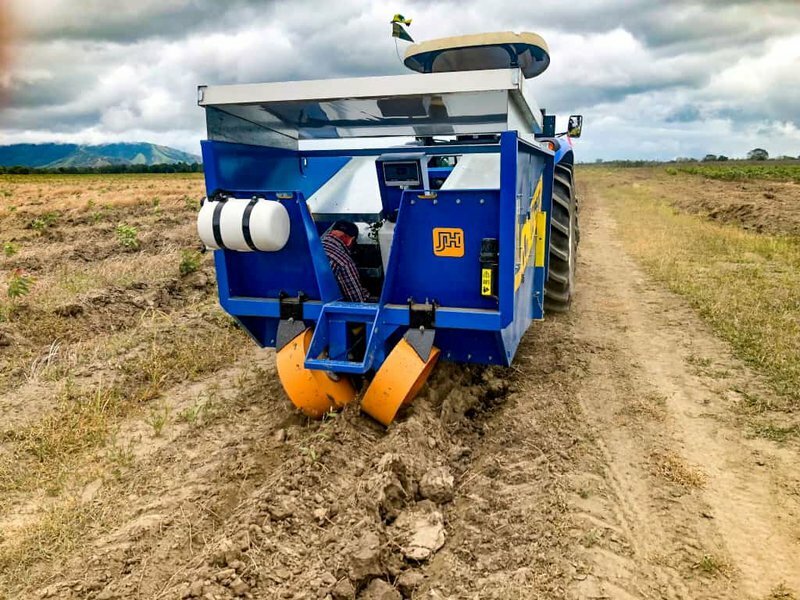 As we announced in June, we are introducing mechanised planting technology into the Markham Valley. 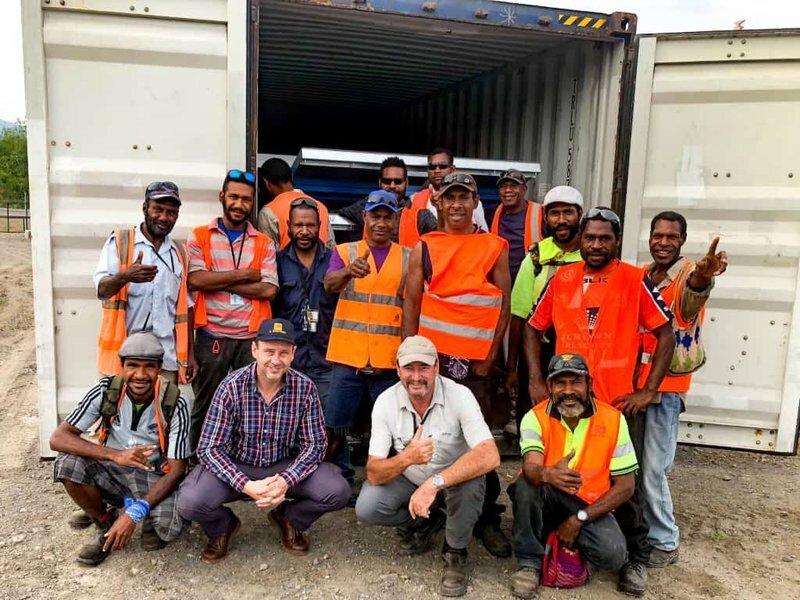 Carlos Hartwich with Garry Townley and the PNG Biomass forestry and planting team welcoming the arrival of the container with new equipment. 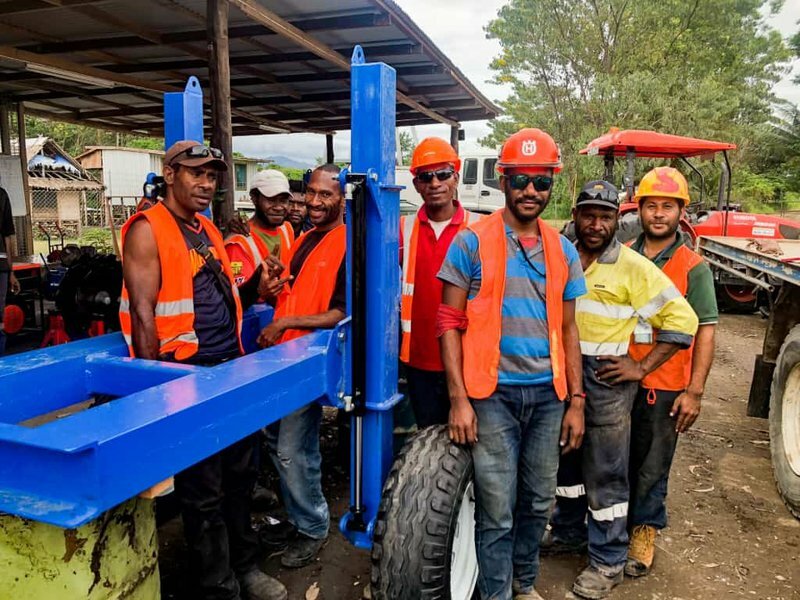 Carlos Hartwich, from J Hartwich company, spent some days with the PNG Biomass team training them on the assembly and correct operation of the units. It took Carlos 3 days and 6 flights to get to Lae from his home in Uruguay to assist our Project. Carlos Hartwich making final adjustments to the forestry and planting equipment. In the container were 4 units of the SRDM18 multifunction subsoiler and disc harrow. This unit is used to prepare a planting bed for the seedlings. The PNG Biomass team trained by Carlos in the assembly and operation of the new equipment. It also contained 2 units of the PA17 tree planting machines. This equipment will greatly improve the productivity of our plantation establishment programme. A Hartwich PA17 tree planting machine in operation in the Markham Valley.